Built on the love for quality meats, Butcher’s Block was created for the sole purpose of providing handpicked premium meats. From flanks to briskets, the pork-free establishment acts as an all-in-one butchery that not only cuts the meat of your choice, but has the option of cooking the meat on their in-house charcoal grill. Can marinate the meats as well,” said Jarrod Chek, owner of Butcher’s Block. Their overall bestseller is the ribeye beef, with most customers preferring grass-fed meats. To properly savour and appreciate the meat, it should be prepared simply, without the additions of black pepper or mushroom sauces. The holy trinity of its kitchen – 100% charcoal, sea salt, and pepper – allow the flavour and quality of the meat speak for itself. While it takes kill to cook with charcoal, the additional charred flavour makes it all worthwhile. 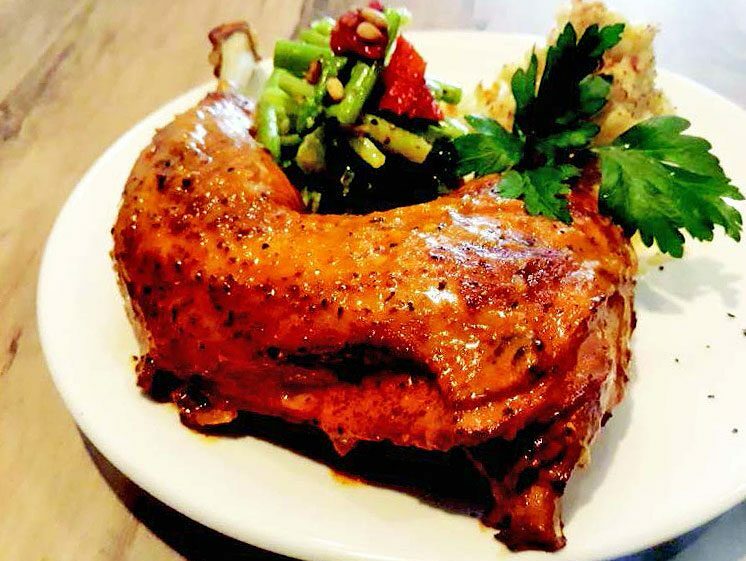 “We treat our meat with respect and enjoy the flavour and taste as it is. Even with the salads, it’s created based on the umami flavour, making sure that what we use goes well with the meat,” explained Jarrod. The umami taste is described as rounded, rich, and savoury, which is considered the fifth taste we perceive with our tongue. “Tired” and “lazy” should no longer be the excuse to not having a nice home-cooked meal. Catering to those who have no time to prep and cook a meal at home, pre-prepped meats are available, ready to be put on the grill. 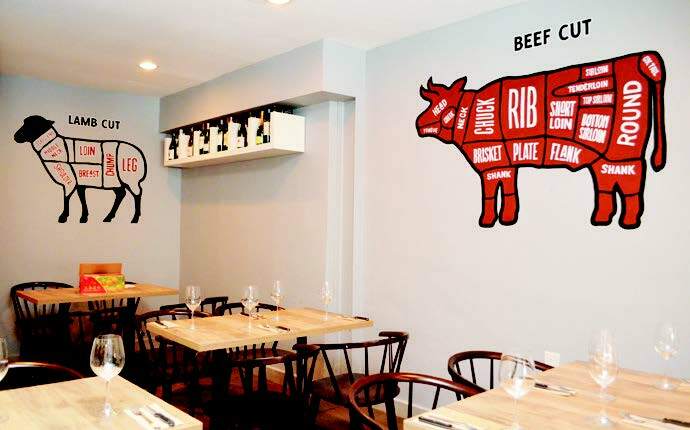 Another feature of Butcher’s Block is their dry aged meat, which is done in-house. Jarrod explained that most of the time, dry aged meat can only be eaten in restaurants. But now, dry ageing services are also provided, where people can opt to buy a block of meat and get it dry aged there. So, how was Butcher’s Block set up? “I just couldn’t find good meat, so I took matters into my own hands and started this myself,” said Jarrod. With a personal attachment to Damansara Heights, and having known many of the people here for over 20 years, he felt Butcher’s Block fit right in. “It’s a nice and established neighbourhood. People have come up to me and said they were happy the shop opened up here because it’s easy for them to get their supply of meat. The quality and selection provided is extensive, too,” he said. Having been in the wine industry for over 20 years, it’s clear that F&B is in Jarrod’s blood, with a selection of wine available to complement the meats. “I’ve chosen the ones that pair well with meats and blend well too. There are also a small number of lighter wines for those who don’t want something so heavy, but most are best-paired with meats,” he said. 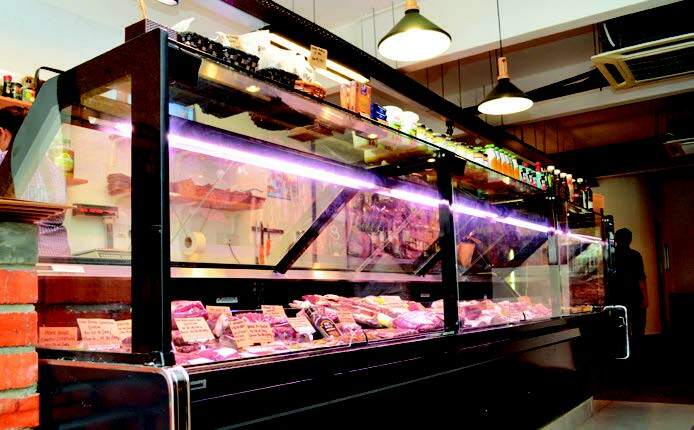 Delivery services from Butcher’s Block will commence after Chinese New Year, where purchases above RM300 will enjoy free delivery services in Bangsar and Damansara Heights until 4pm daily. 1) Combine all the ingredients in a bowl or a food processor/blender and mix well until the mixture forms into a sauce-like texture. 2) Transfer to a saucepan over medium heat and simmer for 15 minutes, stirring every few minutes to prevent the sauce from burning. 3) Marinate chicken with the ingredients overnight in refrigerator. Grill/roast over low heat until fully cooked, brushing on Peri-Peri sauce in the last five to ten minutes of cook time.